Then I decided to prepare for IBPS PO IV, I worked hard burning mid night oil, appeared in the exam again, but I missed the cut off by 2 marks. After all these failures I got frustrated and made me nervous, I started questioning my worth, my hard work but I again stood up and put on brave face and decided not to give up . I started to attempt again. ibps rrb assistant : written not qualified. I want to say failure is temporary, but if you try real hard and true effort we can be successful in our respective fields. I want to thank BA’s entire team for daily G.A updates, Capsule, Tonic and Quiz. Every person has his own plans, so work accordingly and focus on your weak areas. Never avoid G.A part , this is a game changer. 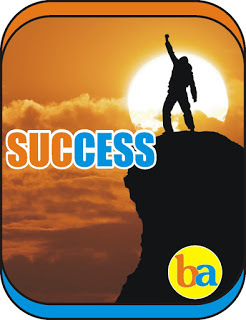 I wish all my BA’ians friends success in future exams. Good luck. Have faith and continue your effort. Never ever give up on your dreams and life goals.